Utilize the traditional and elegant design of this Thomasville counter stool as a versatile fixture in your space. With a rush seat, this Thomasville counter stool is woven for with care to evoke an eye-catching quality. The antique white finish undergoes a multi-step process to cover the design of this stool beautifully. Made from real solid wood, this stool can support up to 250 lbs., and requires only minimal assembly for convenience. Rush seat. Multi-step antique white finish over rubber wood and solid Asian hardwood construction. 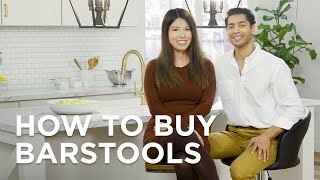 I was looking for white no back counter stools and I found them on your web site - I am so excited can't wait to see them.